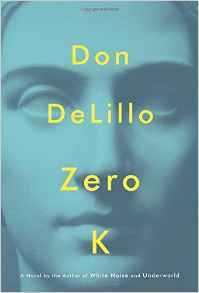 On 31 May 2016, 8-9.30 pm (UK time) Dr Kasia Boddy takes part in a twitter chat, #Bookhour, about Zero K, the new Don DeLillo novel. Hosted by US Studies Online, #Bookhour is an open forum twitter discussion between scholars and the public that takes place on the last Tuesday of the month. The title selected for discussion may be a new release that is generating interest or an American classic that has been re-released in a new edition or is fast approaching an important milestone anniversary. Each discussion is guided by questions submitted by a team of scholars beforehand. Kasia Boddy (@KasiaBoddy) is a Lecturer in American Literature at Fitzwilliam College, Cambridge. Her teaching and research focus primarily on American literary and cultural history, and one strand considers the perpetual back and forth between short and long fictional forms. Now working on a book on the idea of the Great American Novel, she has published extensively on short fiction, including The American Short Story since 1950 (2010), and has edited or co-edited several anthologies, including The New Penguin Book of American Short Stories (2011).